Alberta B. Davis - "Miss Alberta!" NOTE: Online Obituaries/Guest Books Are NOT "Linked!" Please Visit/View/Sign EACH Separately. Thank You! ​Memphis, TN - Alberta B. Davis, age 88, died peacefully on Sunday - September 25, 2016 in the Trinity Grove wing, a caring, loving and compassionate "home" at the Baptist Reynolds Hospice House in Collierville, TN. She was born - April 12, 1928 - in Brunswick, TN to Tommie and Esther (Settles) Becton and was the third of ten children. At an early age Alberta displayed a level of maturity, service and compassion far beyond her natural age as she nourished people around her with love, faith, comfort and security. "Alberta Ester Becton has completed a full course of instruction in the treatment of the Scalp and the Culture of the Hair as prescribed by the SUPERIOR PORO BEAUTY SCHOOL, and has passed such examinations as to satisfactorily demonstrate her ability to properly apply the intricate methods thereto. Now, therefore, by virture of the power vested in us, we have granted this DIPLOMA - with all the privileges attendant thereupon." Signed - Pearl H. Hampton (President). From 1949 - 1953 she honed, perfected and re-certified her skills through The Tennessee State Board of Cosmetology as she built a strong list of satisfied customers. In 1950 she united in holy matrimony with Clinton Davis and from that union she gave birth to two sons ... Russell and Gregory Davis. Alberta - along with her sons Russell and Gregory - were among the FIRST families in the (then new) Cleaborn Homes housing complex. In the mid-50s she joined St. John Baptist Church under the leadership of Rev. A. McEwen Williams and is among St. John's "legacy members" where she has served in various capacities ... nursery attendant, choir member, teacher, nurse, Secretary/Attendance Clerk (Rebecca Sunday School Class), Secretary (Esther Circle), member (General Missionary Society) and President/Secretary/Treasurer (Faithful Few Club). 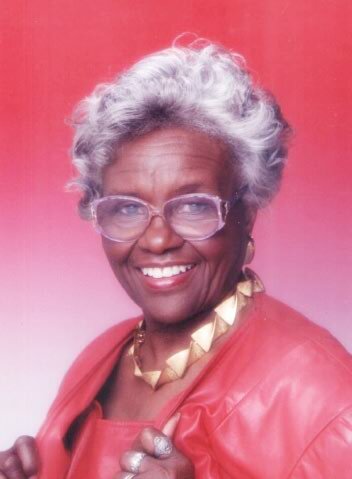 In 1965 Alberta graduated from the Memphis Practical Nurse Training Program where she served as Class Chaplain. She began her career with the Memphis and Shelby County Health Department on March 16, 1966 as a Licensed Practical Nurse in the Nursing Section. She worked as part of an immunization team at Oates Manor, Dixie Homes, Goodwill Gardens and various school-based clinics. In 1969 her position's responsibilities were expanded to include certain laboratory procedures. In 1980 she transferred to Riverview Clinic where she remained until her retirement in 1990 culminating more than 25 years of loyal and dedicated service to the citizens of Memphis and Shelby County! Since the mid-60s she was affectionately known as "Miss Alberta" and/or "Aunt Bert!" With her "new found time" Alberta was able to give more of herself in service to others. In the late 1990s a "career shift" opportunity allowed her to work [part-time] for the Transportation Security Administration as a "Pre-Board Screener" at the Memphis International Airport. The 21st Century ushered in a new employment opportunity with the United States Department Of Commerce/Bureau Of The Census as an Official Census Enumerator (Census Taker)! Alberta truly lived life to the fullest through simple pleasures, travels, fellowships and giving her time, energy and resources to help others. Her social/professional organizations included the AARP Memphis-Graceland Chapter #3589 and the Shelby County Organization of Retired Employees (SCORE). She will be remembered as a bright, shining light in the various church, social and professional organizations she served! Alberta was preceded in death by her parents, brothers Willie Leroy Becton, Eddie Becton, sisters Bertha Williams, Irene Williamson and Clarissa Wyatt. Left to honor Alberta and remember her love are sons Russell Davis, Gregory (Carol) Davis, grandsons Regis Terrell and Eric Manuel, great-grandson Malachi Anderson, sisters Jewell (James) Phillips, Jerri (Troy) Caraway, brothers Charlie Becton (October 26, 2016), Tommie Earl Becton, many nieces, nephews and a host of friends. Special friends - among several "unlimited" persons - include Joye T. Bell, Louise Terry, Thelma Warr, Johnnie Tyler, Algenner (the late Joel) ​Jackson, Rick (Gail) Williams and Donald "Pookie" Williams. The family will greet friends from 5:00 p.m. to 7:00 p.m. on Tuesday - October 4, 2016 at St. John Baptist Church | 640 Vance Avenue | Memphis, TN 38126. Funeral services will be held on Wednesday - October 5, 2016 | 11:00 a.m. at St. John Baptist Church. The Rev. Henry Key officiating. Burial will follow at Memory Hill Gardens Cemetery, 3700 North Germantown Road | Arlington, TN 38029 with repast at St. John Baptist Church. The Davis family extends our gratitude to the medical staff at the Baptist Medical Group/Baptist Memorial Hospital. We extend special gratitude to the staff at The Baptist Reynolds Hospice House and - in lieu of flowers - request contributions be sent (in remembrance/honor of Alberta B. Davis) to (The) Baptist Reynolds Hospice House, 1520 West Poplar Avenue, Collierville, TN 38017 | www.BMHGiving.org "Life ends, love lasts ..." Your gift to (The) Baptist Reynolds Hospice House provides compassionate care for patients and families faced with a life-limiting illness. 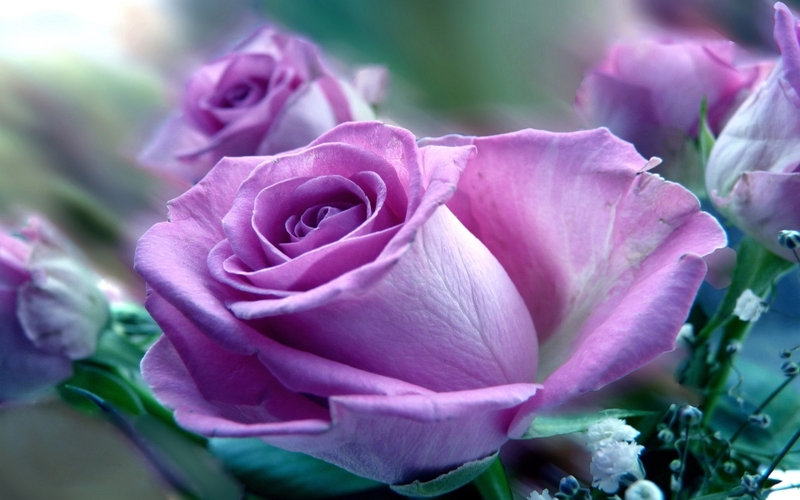 Arrangements/services entrusted with Harrison's Memorial Chapel, Inc - www.HarrisonsFuneralHomeINC.com | 901/452-7331.